Flower carving in fruits and vegetables is common around here. 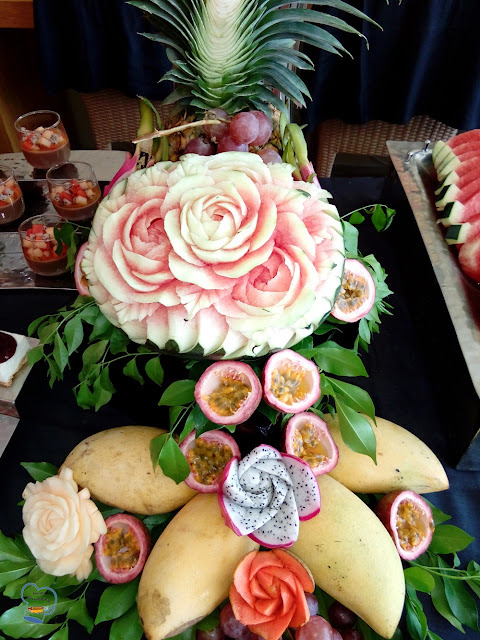 The usual centerpiece that grace the dessert table at brunch are carved roses. 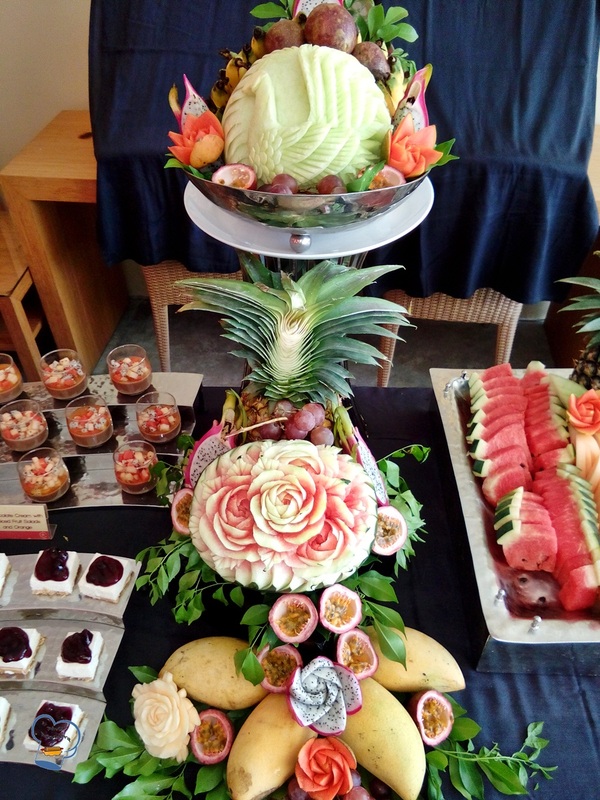 You could imagine how amazed everyone was when last Sunday the staff at the cold kitchen made this beautiful craft. 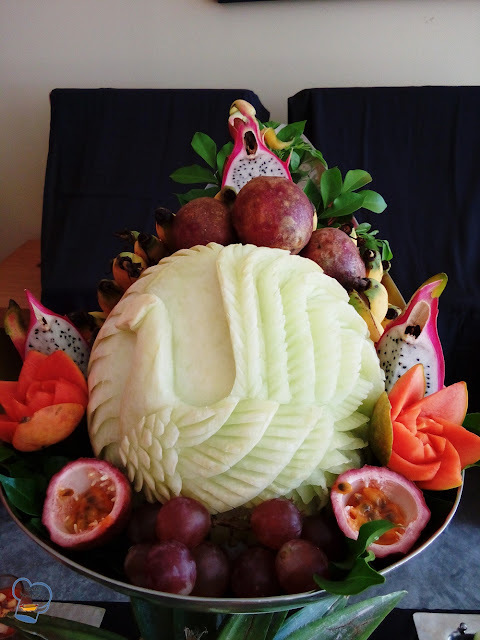 I found myself drawn to vegetable and fruit carving when I did my training at a local hotel in Bangkok. The three ladies whom I worked with have taught me the basics. I became hooked since. Now that I work in a busy resort, it has opened more opportunities for me to get better acquainted with this art. To top it off, I learned simple and cute ideas on fruit arrangement. Look at this beauty!